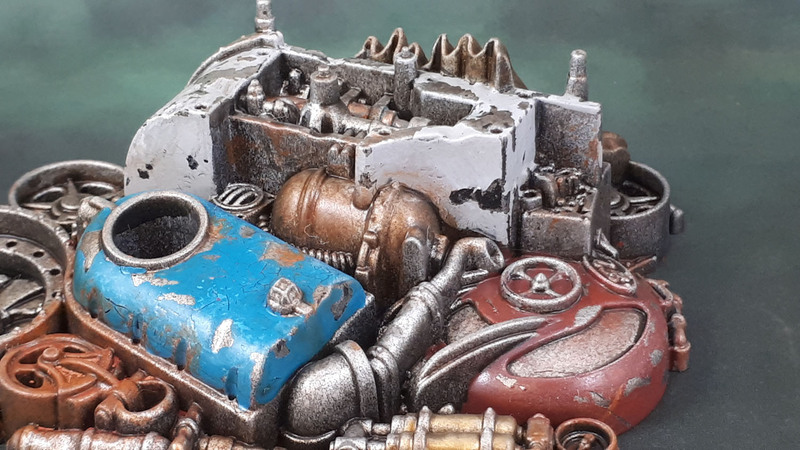 Speed Freeks Scrap Piles #2 (January Terrain 2019) | Azazel's Bitz Box. ← Anyone want some old Warhammer Miniature Boxes? Good method–looks pretty realistic for flaked paint. Well done! Cool, and thanks for the technique walk-through as well – looks great mate! No probs Alex. I’ll do it up as a photo walkthrough later down the line, but I’m sure that description would be easy for someone as experienced as you if you wanted to try it. Thank you Dave, and welcome! Great job at differentiating the identical terrain pieces. The weathering is excellent too. Cheers Thomas. Once I have the final four photographed, I’ll clean up the table again and lay them all out for a “proper” look at them in tabletop situation. That’s also a pretty cool – and original – approach to chipped paint, and one that I would like to try myself on a future piece! Cheers for that! Thanks KS – yeah I thought they’d work really nicely across a lot of games. Sure, the tyres are a bit auto-oriented, but even sections of the Underhive would have heavy trucks, the odd cobbled-together cars and delivery vehicles of a sort. Battleships have forklifts on board, after all! I’m looking forward to what you do with the chipped paint, not to mention the Mek Workshop kit! Yeah, I hink there’s more than enough precedent for what are basically present-day cars in 40k, so the tyres aren’t a problem at all. Yeah, the Design studio seems to have a bit of an obsession with tracked vehicles for everything. The Taurox being one of the worst offenders at looking incongruous with those silly track-sets – looking like a British Army armoured truck from the 1980s (a specific one, but I don’t know the name) crossed with a snow cat – but not in a good way! 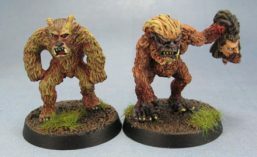 The last lot were great but these really are impressive, maybe not surprising considering what you have to go through to get that worn/flaky paint look! Thanks John. Hopefully you like the next set just as much! Another nice lot there! I’ve fiddled around a bit with trying to use crackle paints for chipping, but I think I always did it on spots that were too small. I’ll maybe give it another go at some point here. From my (admittedly limited) experience, it’s also important to put the stuff on WAY thicker than you would think is sensible in any normal situation. Having the layer of PVA underneath also makes a big difference, though the gloss also works (not to mention both gloss and PVA). Either way you definitely need something clear and protective between the “under-paint” and the stuff you want to chip off. Great work- thanks for the step by step too. Thanks for the step-by-steps on this – they’re invaluable! I’ve got some crackle medium on order right now based on your work here. Well, that’s certainly a big compliment. I can’t wait to see what you do with it! Another great looking pile of garbage! Funny how cool stuff like this is to mini-wargamers. I was working on terrain the other night and the toddler comes in, and I had to explain WHY I’m painting something, and then making it ugly. She just giggled, but anyone else would remain stuck in the WHY phase. Thanks for the tutorial too. I haven’t seen a really good tutorial for rusted out terrain, Apoc/Necromunda style. I’ve certainly seen some great example pics. I’m sure it’s out there, but so far not much luck finding something on my end. I’m not saying you need to make one, as you have tons on your plate. Heh, I don’t even think about it (why we make stuff look worn and ugly). I guess an easy go-to answer would be “to make it look realistic”! Rusted out terrain of a couple of different types is something on my list to do. If you’ve got any example pics, I can certainly give you my best guesses on how I’d try to achieve the same sort of thing? Loving the weathering on these, and a nice write up to boot.